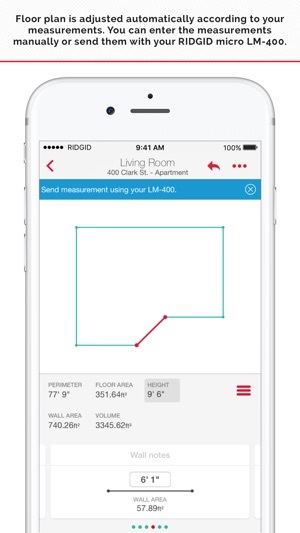 RIDGID Sketch is a handy tool that allows you to calculate and communicate various measurements on your projects. It can be used on its own or in conjunction with a RIDGID LM-400 Laser Distance Meter. 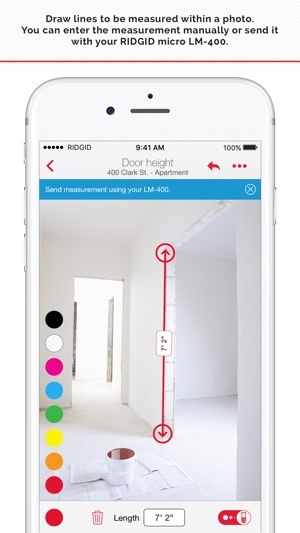 The app will connect to your LM-400 via Bluetooth and receive precise distance measurements from the device. 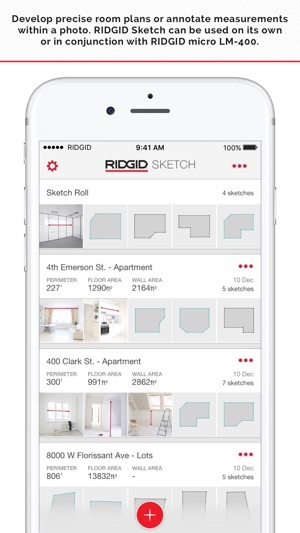 RIDGID Sketch works in both drawing mode and photo overlay mode allowing you to develop precise room plans or annotate measurements within a picture. - Added support for our new LM-400s with Bluetooth LE. - Bug fixes and overall stability improvements. Really needs ability to delete line segments. If you mess up you might as well start again from scratch. 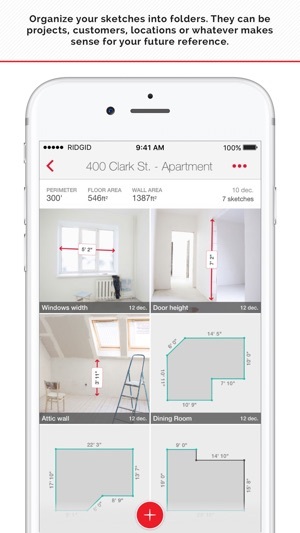 Also needs the ability to enter in angles manually. Maybe even have a 45 degree snap feature when dealing with angled line segments. I was looking for a way to easily capture room dimensions without a pencil and paper, and this is perfect! It took a little trial and error to learn how to draw shapes, but now that I've figured it out, it's super quick. My only request is a way to add text to exported pictures. Great app! This app does what I want it to do, more or less. I like how you can overlay dimensions on a photo. 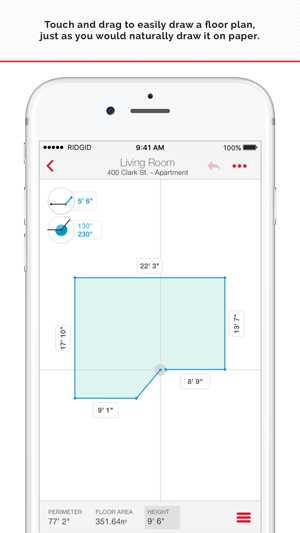 It needs a little more functionality, like the ability to delete segments in your sketch, and an option to provide measurements in inches only, rather then feet and inches.